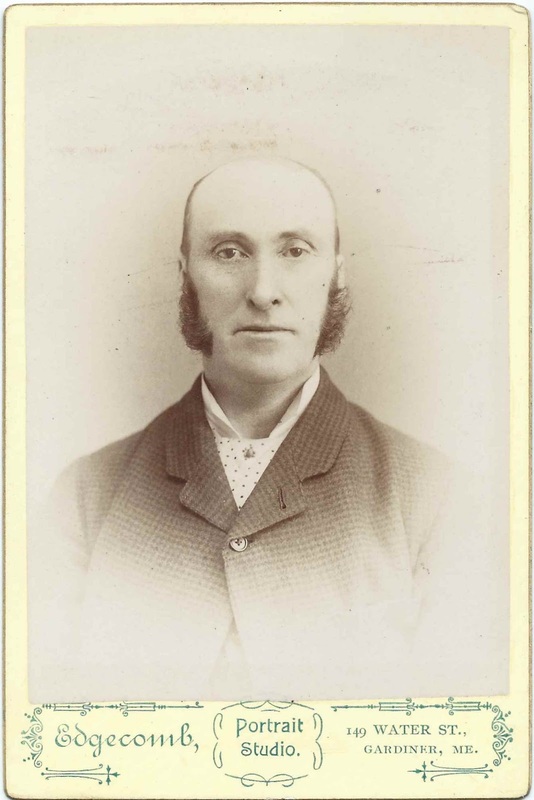 Cabinet photograph of a man identified on the reverse as John H. Goodwin. 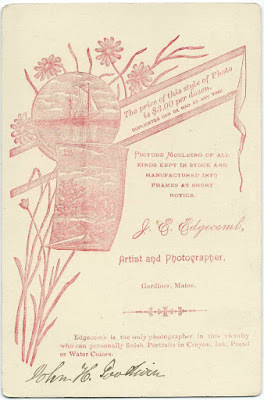 The photograph was taken by the studio of J. E. Edgecomb of Gardiner, Maine. 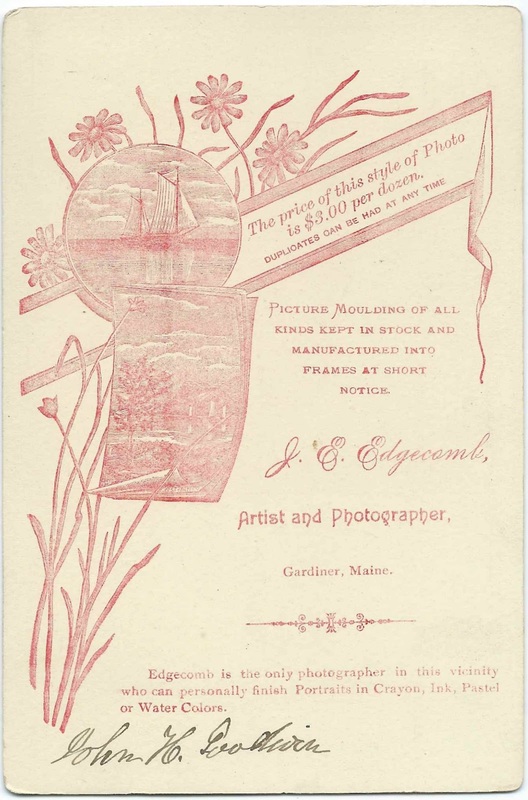 There were several men by the name of John H. Goodwin in the Gardiner, Maine, area. And we don't know if this man actually lived at Gardiner or was just visiting there. John H. Goodwin, born about 1843 in Maine, son of Oliver Goodwin and Hannah (Marsh) Goodwin. He died in 1863, which I believe is before the photograph was taken, so he is ruled out. John H. Goodwin, born about 1847, son of Otis Goodwin and Joanna Goodwin; lived at Rome, Maine. If you recognize the John H. Goodwin in the photograph from your family photographs and/or research, please leave a comment or contact me directly.